UN Appeals for Nearly $1 Billion to Aid Rohingya Refugees - Integration Through Media ....! 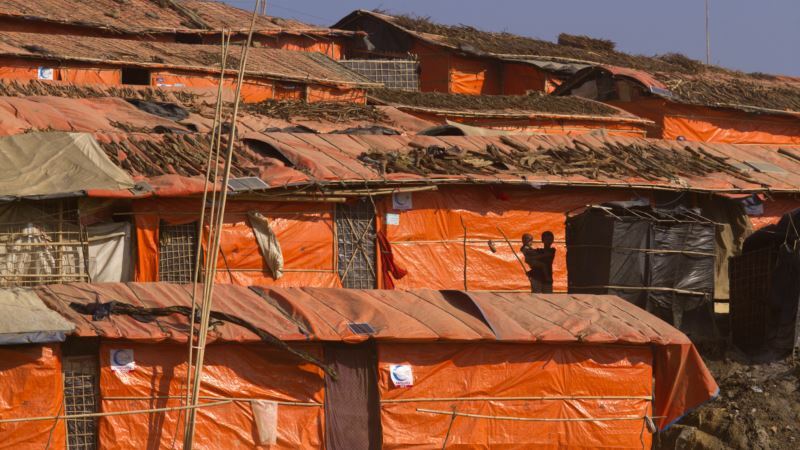 (VOA): United Nations aid agencies are appealing for more than $950 million to provide life-saving humanitarian assistance this year for 1.3 million Rohingya refugees and the Bangladeshi communities hosting them in Cox’s Bazar. Nearly 1 million Rohingya refugees live in substandard, overcrowded settlements in Cox's Bazar. More than 670,000 of them have fled to Bangladesh since August to escape violence and persecution in Myanmar. These refugees are on top of more than 200,000 Rohingyas who arrived during previous influxes. They and 330,000 vulnerable Bangladeshis are in urgent need of life-saving food, clean water and sanitation, shelter, health care and other relief. The United Nations reports more than 150,000 refugees, more than half of them children, are at risk of landslides and floods from impending monsoon rains and potential cyclones. U.N. High Commissioner for Refugees Filippo Grandi said preparations are underway to mitigate what could be a disaster in addition to the prevailing emergency. He said aid agencies are pre-positioning food and other relief items, as well as reinforcing fragile shelters. “It is about developing 500 acres of land—additional land that has been made available by Bangladesh, building bridges and roads, relocating the tens of thousands of people that are most exposed,” Grandi said. The unprecedented scale and rapidity of the Rohingya exodus from Myanmar has created a crisis of enormous proportion. Most of the newly arrived refugees are crammed into the Kutupalong site, the world's largest and most densely populated refugee settlement. Director General of the International Organization for Migration, William Swing, said the disaster risks have been made worse by the presence of so many refugees from Myanmar in Bangladesh. Swing said IOM and several U.N. partners are running a joint project to try to supply liquefied Petroleum Gas to the refugees as an alternative fuel source. He said this project also will provide cash for work for the refugees. U.N. Resident Coordinator in Bangladesh, Mia Seppo, said the priority of the joint response plan is to provide life-saving activities for the refugees. But she tells VOA there also is a strong focus on the host communities. High Commissioner Grandi said the solution to this complex crisis lies with Myanmar. He says the refugees have a right to return home to northern Rakhine State, but only under certain conditions. He said violence, of course, has to cease. Grandi said the odds are growing against an early solution. But, he adds that is not a reason for him to give up.